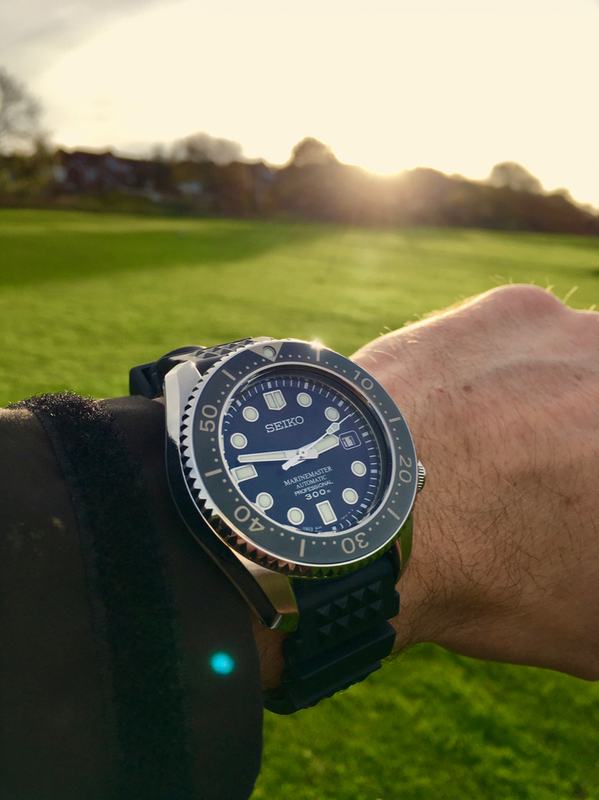 Seiko SBDC063 and SBDC061 - Mini Marinemasters- under the TZ-UK radar?? 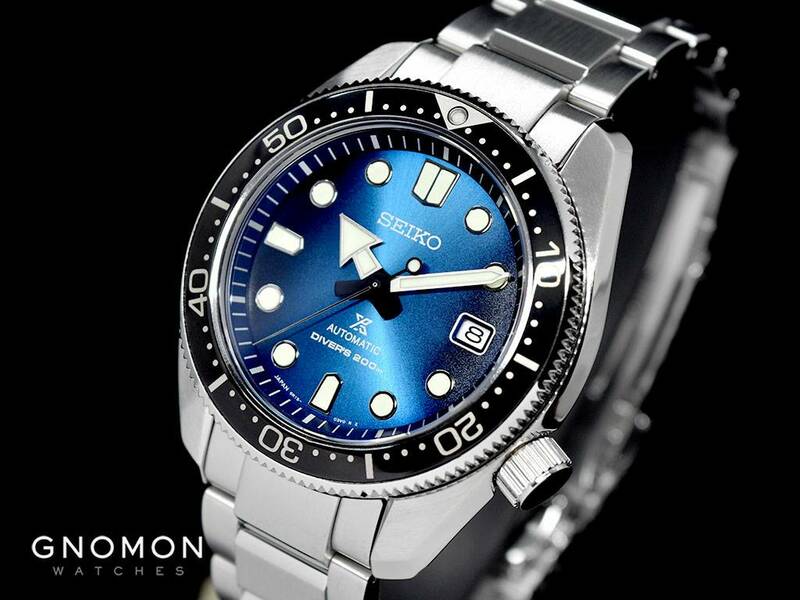 Thread: Seiko SBDC063 and SBDC061 - Mini Marinemasters- under the TZ-UK radar?? Just did a search here, and noticed that there has been no discussion on these two models, which already seem to be out and ready to buy. They look great to me, anyone got or getting one yet? At £6-800 depending on supplier and or taxes, seems good. 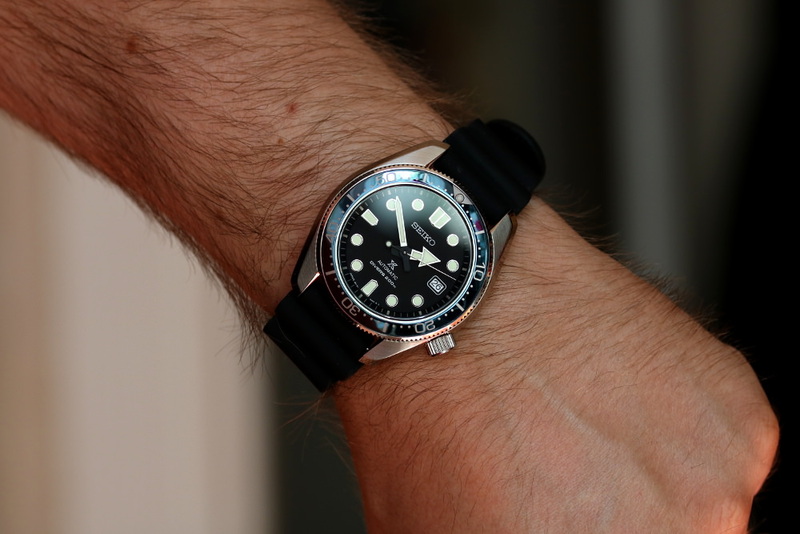 I tried the blue bezel SBDC063/SPB079 in James Porter when I was in Glasgow last month. I was very impressed and found it to wear a lot smaller than the specified 44mm width. I'm not sure what they're like for giving you any discount on the RRP (I didn't ask) but that was was my only reservation - I thought that £799.99 was a bit steep. If they become available for under £500 new in the future I'd definitely have one. They're better proportioned than last year's 62Mas recreations. The smaller bezel diameter and sloping case flanks help to make it feel quite compact despite being 44mm. Absolutely love mine. Looks and wears the same as the MM300, without the height. I got the blue bezel, and added the OEM bracelet to it. Got mine from UK AD WatchO - good for a 15% discount straight up. Mini? 44mm?! How big is the big one! Shame, I like a lot of Seiko designs but they’re all huge. 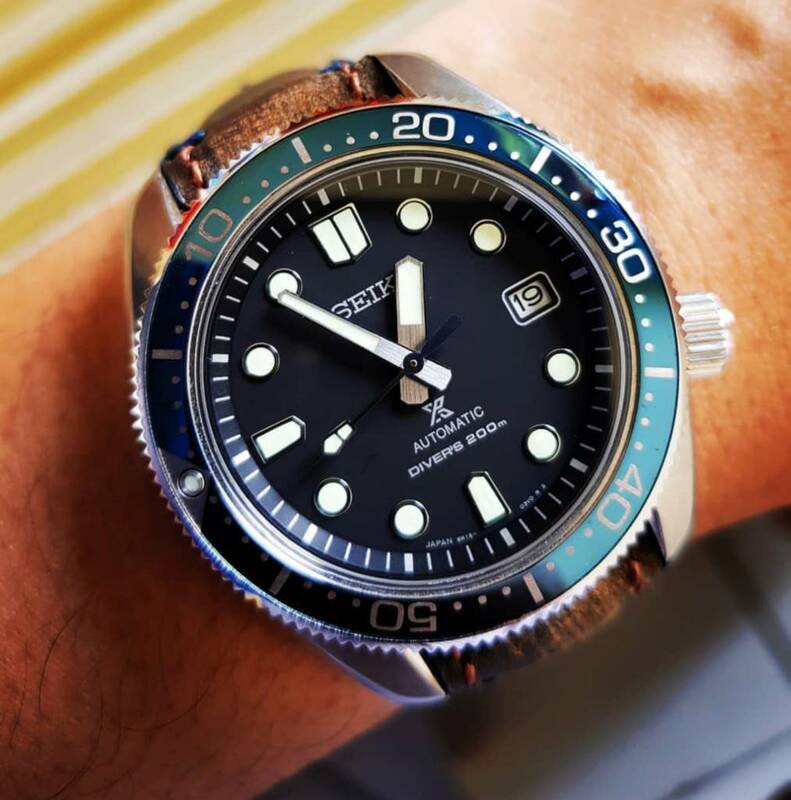 What's the difference between the SBDC063 and SPB079J1? They look the exact same to me? 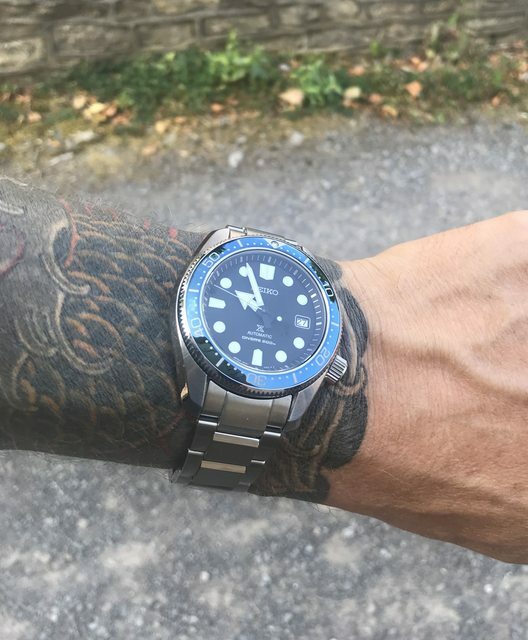 I have an SRP777 and used to have a MM300 so this looks like it could be the middle ground. Nice looking watches. Always liked the MM300 but thought they may be a little too big. These may be a decent compromise if they wear smaller. Nice looking watches. Certainly under my radar until now. Totally missed this also! Had 3 x MM300's and tried to live with them, just too thick. Wonder if the MM hand set would fit? Good question. I'm with you...look the same to me too! I've seen these and really like them. But having a Shogun, I'll stick with it. It would seem that the former is the JDM code and the latter is the international model code. They are the same. Except for the minute hand being about 5mm too short. I couldn't live with that. I quite like it and can see the influence of the MM300 but the proportions look a little off for me, dial looks too big for the thin bezel. Whereas the MM300 is just perfect, the depth of the dial, the dimensions of the bezel combined with that beautiful handset is just classic, TBH the MM300 sits a bit high for my wrist but I can’t sell it as it’s just beautiful to look at. Keenly awaiting the new ceramic one in the regular colour and hoping it doesn't carry the same premium as the green. I saw some comment on the MM300 that the dial is relatively too small to the bezel.....while I see the case similar to Sumo rather than MM300.